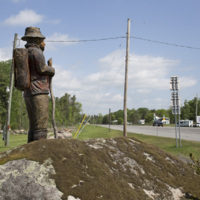 Jodi Ehart, “Pete,” Art Oneida, accessed April 20, 2019, http://artoneida.org/art/items/show/238. 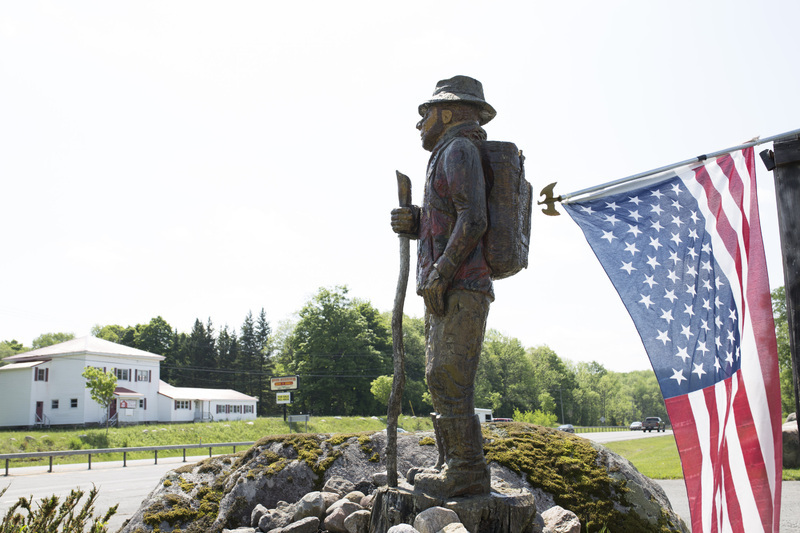 Description: Walking stick in hand, his pack on his back, a hiker stands ready to head into the Adirondacks. 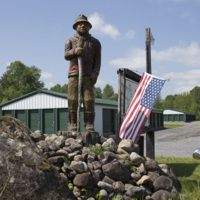 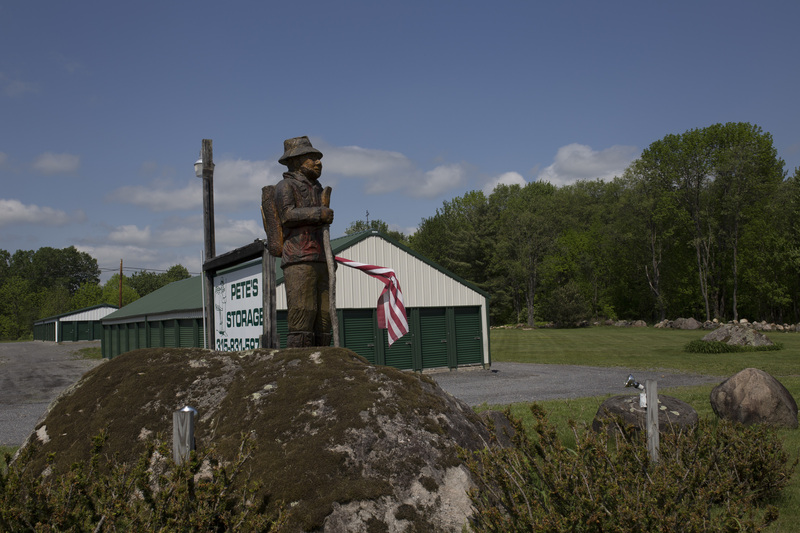 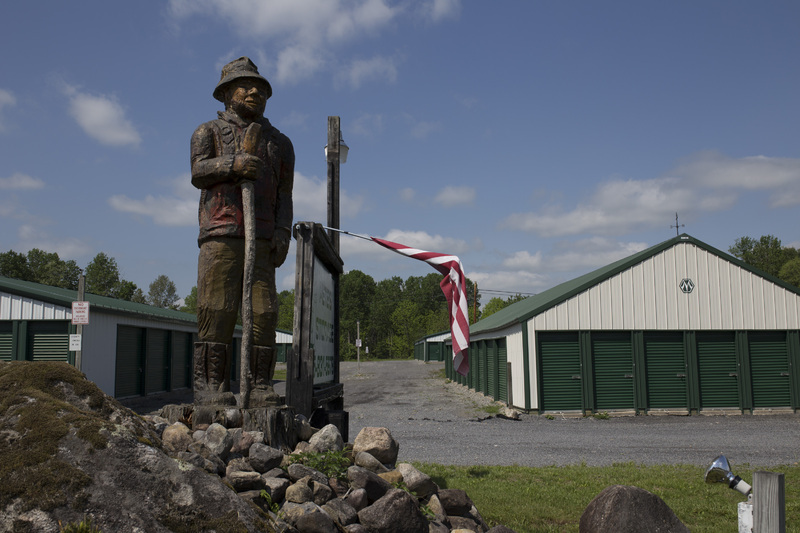 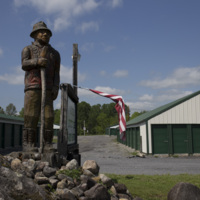 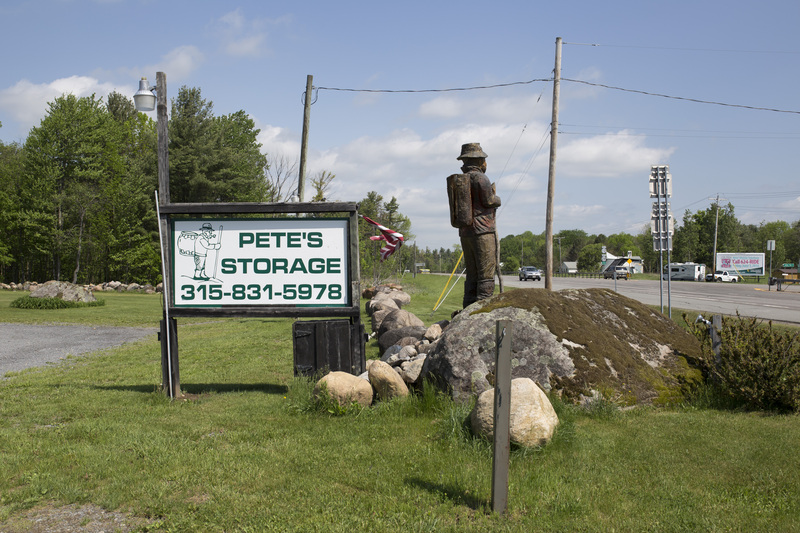 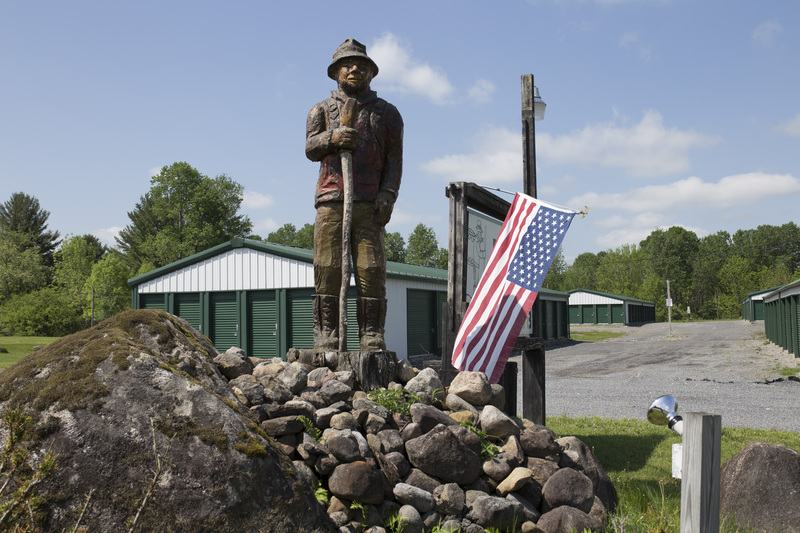 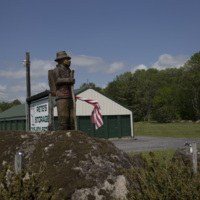 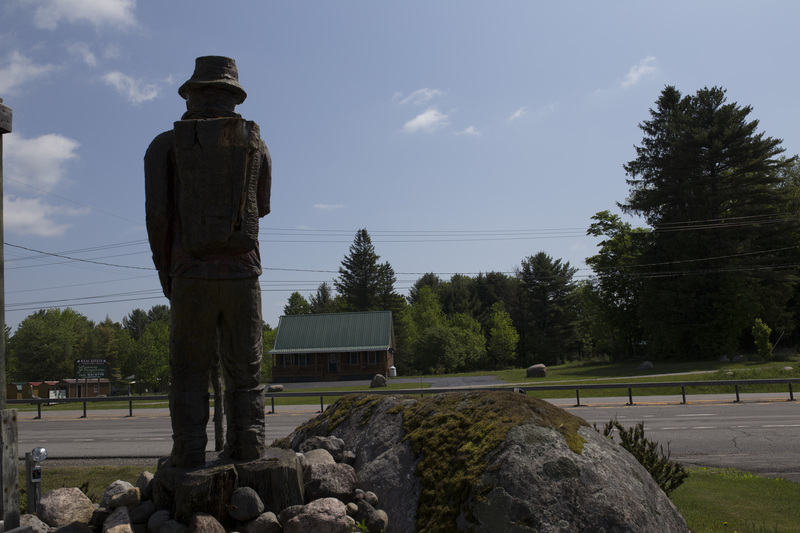 He stands by the sign for Pete's Storage in Remsen, near the border of the Adirondack Park. His rugged nature evokes memories of the origins of the Remsen area, and the pioneers who began to settle the land in the late 1790's. 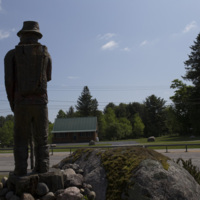 This wood carving defies placement in a particular era or season. 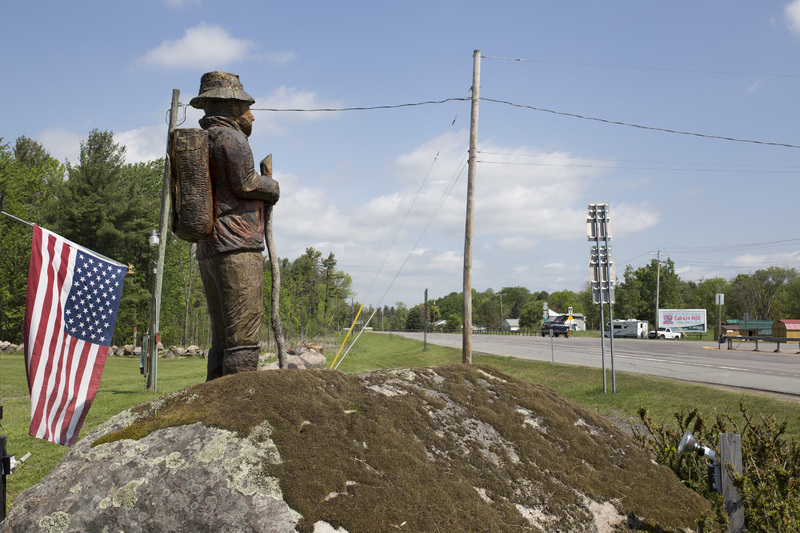 With tall, heavy boots on his feet, he's prepared for all the dramatic seasonal changes of the area. 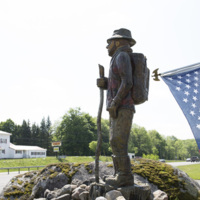 Whether he's a pioneer from history heading into an uncharted forest or a weekend hiker exploring in his leisure, he's ready to face whatever nature has to offer him.